Although many laptops ship with webcams, there are still plenty of reasons to buy an external one. Whether you need it for business video meetings, training webinars, video podcasts, or video chatting, getting the right high-quality webcam matters. Take these important factors and features into account to find the best webcam for your needs. A webcam with high resolution is essential for most usages—the lower the resolution, the grainier the image looks onscreen. Most modern webcams support only high-definition video capture. Look for a video capture resolution of 720p or higher. If you're planning to use your webcam for at least the next few years, it might be worth investing in a 1080p resolution. They're becoming much more common and more affordable because of it. A high frame rate is also important. Webcams without high frame rates produce images that stutter and periodically freeze on the viewer's screen. Frame rates are measured in frames per second, so look for "fps" on the webcam packaging. You must stay above 15 fps to stream video, and you're better much off with a frame rate of 30 fps or higher. 60 fps is an ideal mark to hit, but it's not as common in lower price ranges. The type of lens affects the webcam's performance. Some entry-level webcams have plastic lenses, but it's wise to stick with a glass lens, which dramatically improves performance without significantly raising the price. Auto-focusing and automatic light-adjustment technologies are useful in webcams, especially if you'll be using it in a darkened room. A built-in microphone and the ability to take still images are standard features. Look for a webcam that takes still images that are at least 2 megapixels. Most current model webcams can take images much higher— 15-megapixel captures are common. Webcam microphones have come a long way too. It's not difficult to find a webcam with two or more microphones built-in. The quality of the microphones had jumped forward too. Omni-directional microphones which can record from every direction around your camera can be found in most mid and high-end webcams. Motion sensing can turn your webcam into a veritable security system, and some models come with this feature built into it. If yours doesn't, don't fret—you may be able to download software. Check the manufacturer's website to make sure. On a similar note, auto-focus is another feature to look out for. Most people don't sit perfectly still while they're filming. Your webcam should be able to refocus, at least a little, to adjust to where you're sitting in relation to it. Depending on the type of video chatting you do, you may want to include special effects, and many webcams come packaged with these abilities. If the one you want doesn't, you can probably download special effects software from the manufacturer. Nearly all webcams capture high-definition video now and most applications of the webcam benefit from it. If you plan to post videos to social-networking sites, low-quality video can affect your viewers negatively. It's not difficult to find a quality webcam that records at 720p for a reasonable price, so even if you just want a webcam for occasional video chatting, get an HD camera. For more professional work, even if that is uploading videos to YouTube or streaming on Twitch, consider investing a bit more for a full HD 1080p camera. They're fairly common, and the price won't break the bank. Finally, if you need the absolute best quality, you can find webcams that record at resolutions above 1080p, up to 4k Ultra HD. Keep in mind that only people with monitors that support those resolutions will be able to benefit from the increased picture clarity. These cameras should probably be reserved for special cases or if you're making a living from creating online content. Most webcams are affordable, but you tend to pay for what you get, so be sure to weigh your feature needs and budget needs carefully. Not every webcam runs on every computer or operating system. Make a note of your computer and operating system and then check out the requirements for the webcam that has caught your eye. Mac and Linux users need to take special care here. 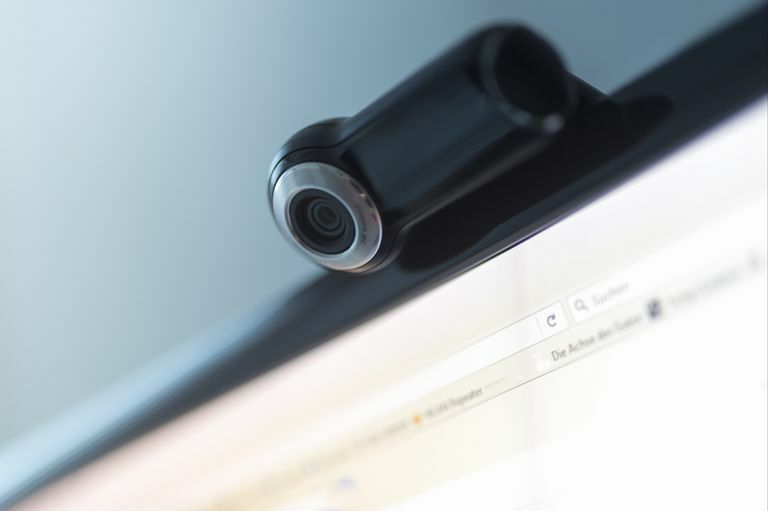 Most webcam manufacturers will make sure their cameras work on all current Windows versions; however, finding a camera for Mac or Linux(Including Chromebooks) might be more challenging. Most of them have minimum processor speed, memory, and hard drive requirements. If your computer is new, it'll probably more than meet the minimum requirements, but if you are planning on working with high-definition video on an older system, you may run into compatibility problems.